Who has an old SE Singlecut? What's happening with these things? Discussion in 'Electric Instruments' started by sergiodeblanc, Sep 29, 2017. Judging from classified ads, the most presently unloved PRS has to be the skinny SE Singlecut. There's tons of 'em for sale and they never seem to move. They're trapped in that space where they're not really the entry point for an LP type guitar (that the 245/Bernie occupy) anymore, nor are they the archetypal PRS guitar that people who wanna get into the brand go for. Having owned an older Tremonti (the only PRS guitar I've ever sold or traded, for which I feel guilty) I can't help but imagine they're rad guitars. People always rave about their SE One's too, and it seems like this guitar shares similar ingredients, how come more people don't profess their love for these? Somebody here has to have one. What do you love about it? And can we see pics? dogrocketp, charliefrench and garrett like this. Heck yeah man! I've given them the eye several times, especially the Trem version. I've had the SE One and Tremonti SE Standard, which share much of the same DNA. All signs point to a rawkin' guitar. Krankase, dogrocketp, grausch and 1 other person like this. 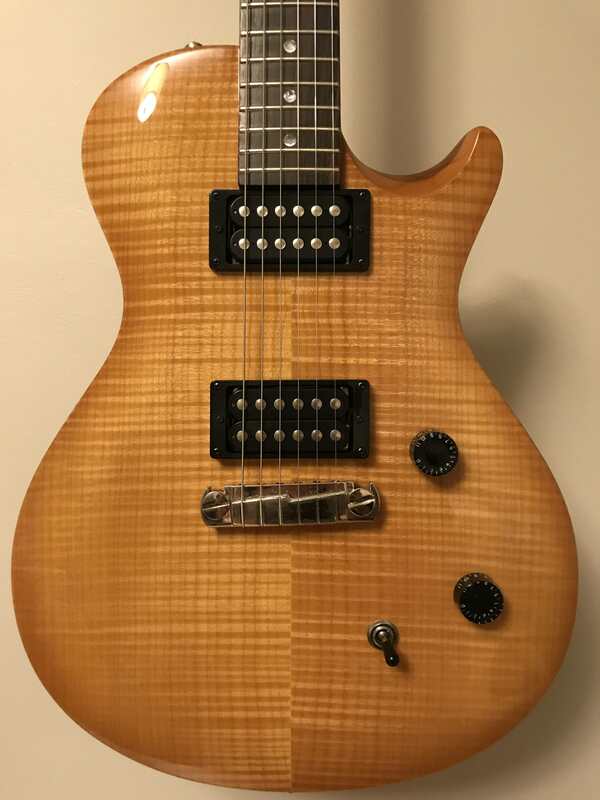 I think most people want an LP style guitar to have 4 knobs... I know I do. I've seen a few Tremonti's that I would have bought, but I just don't care for the thin neck... especially on a single cut. I've actually owned a couple of older single cuts, a different 245 and an Akesson in the past, but none of them stayed with me long. I really wanted to love the Akesson, but the one I had was just a problem child, and I got tired of fighting with it. The others were nice, but just too... boring. Never bonded with them. Now, I do own, and plan to keep forever, a 245 soap bar that rocks, and a ZM that rocks. These just seem to be better gittars. Elliot and dogrocketp like this. My Singlecut SE will never leave my possession. All I've done to it is put zebra Artist pickups in it, with a 3-way drop in kit to split them. I thought a 4 knob setup with an upper bout toggle was the only way to go until I adapted. I bought 2 SC trems based on my newfound preference. I've thought of buying a few to keep in reserve because I can buy one cheaper than refretting one. Krankase, dogrocketp, pac90 and 1 other person like this. Guitars are way more fun than tofu. Boogie, g.wizz, dogrocketp and 3 others like this. dogrocketp and Atomic like this. Mine now has 58/15 neck & PGates bridge with 2xvol, 1xtone and treble bleed & modern wiring. I had to flip the bridge wires as the pickups were out of phase following conventional wiring. The 58/15 is great, someone had happily accidentally listed it under guitars instead of pickups so grabbed it. g.wizz, sergiodeblanc and pac90 like this. For me, 4 knobs feels like ~2.5 too many. LSchefman, xjbebop, sergiodeblanc and 1 other person like this. They are great guitars. We have a trem with a USA Vintage Bass and a Pearly Gates and it sounds and plays amazing. My son owns that and a DGT and plays the SE Singlecut trem much more than the DGT. He likes the neck better. pac90, dogrocketp and charliefrench like this. I have an SE ZM and an SE Akerfeldt. I guess I never felt the need to get a "plain" SE Singlecut. I suppose if I came across a really cheap one in great condition in a guitar store I might be tempted, especially if it was in an interesting color, to have as a different variation. But I'd really like a core SC, maybe a SC Trem, so the SE might seem like a compromise to my ultimate goal. sergiodeblanc and charliefrench like this. ..the SE might seem like a compromise to my ultimate goal. I feel that. But these things are cheaper than a set of pickups... I might have to bite. A wise man once said "a good deal on a bad guitar is not a good deal..."
dogrocketp I drank the PRS kool aid, and it was tasty! My SE Singlecut Trem is a never sell guitar especially since I had a set of USA #7`s put in it. I also have a first year SE Tremonti that resonates like no tomorrow, and has an extraordinary neck. I`ve had and sold 6 or 7 SE Singlecut stoptails that were very nice when a new nut was installed. I vote for the SE Singlecut and trem version as absolute steals. I`ve never played an SE Singlecut Trem I didn`t love, but then I do suffer from trem madness. sergiodeblanc and Atomic like this. So Schlitz is the beer of choice for impulse buying? Or is that only for guitars under $1,000? It`s Natty Boh down here in Murrilyn. Specially in Bawlmer. Totally need something stronger for the 1k and up guitars. dogrocketp and g.wizz like this.